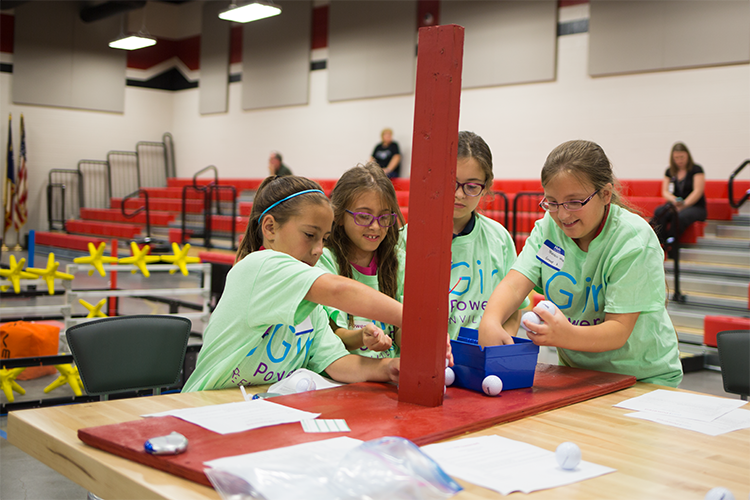 In celebration of International Day of the Girl, the Girl Powered team is excited to connect with students across the globe who have a potential interest in robotics and STEM. The power of girls interest in STEM can be seen first-hand over the next ten days in the 100 Girl Powered Workshops taking place around the world. Through these workshops, we want to show young women early in life that they can do anything in the STEM fields. International Day of the Girl is a youth-led movement supporting all girls rights, and the Girl Powered initiative strives to close the gender gap apparent at an early age in the robotics community. On October 11th, Texas Instruments, the REC Foundation, and VEX Robotics have invited hundreds of students and female change-makers to the Girl Powered Flagship event in Dallas, TX to celebrate the day and help spark these young girls’ interest in STEM. The event will kick-off with a panel discussion with Jennifer Bartkowski, CEO, Girl Scouts of Northeast Texas; Dr. Njema Frazier, Physicist, National Nuclear Security Administration, Department of Energy; Alicia Morgan, Engineer, STEM/STEAM Advocate; Krunali Patel, Vice President and Manager Analog Design Services, at Texas Instruments, and Katie Widen, Software Engineer, VEX Robotics. Following the panel discussion will be a series of hands-on STEM activities and refreshments for the 300 students expected to be in attendance. The panel discussion portion of the event will be webcast out to the nearly 100 other Girl Powered events, viewable via livestream.com/vrctv1/girl-powered.